I can offer you Counselling Appointments in either Ammanford and Swansea (maps) with NCP car parking situated conveniently outside. What Life Issues do I Work With? You are not alone with your worries and issues, whether you are an adult or young person. There are many life issues that clients suffer beyond this list that are commonly shared by others. You may find it beneficial to explore interlinking issues depending on the number of sessions you wish to attend, your issues of focus and desired outcome for therapy. Relaxation Techniques including Guided Imagery are frequently enjoyed by my clients in therapy sessions to help calm nervousness or master self control in a Mindfulness approach over Stress and Anxiety. These can be very effective skills to learn to enhance mind and body well-being and for stress relief and management of difficult issues and challenging situations when under pressure. Here is a sample of issues and stresses that I commonly work with and have training in as a Counselling Therapist as well as those mentioned above. Sensitive expert support and guidance with bereavement, loss, or change can be valuable to help you cope through difficulties and help with life ahead. Please see my thoughts concerning The Benefits of Exploring Grief or Loss. LOSS AND BEREAVEMENT, such a significant and difficult part of our lives in so many ways and is of particular interest, following my training and experience working as a Counsellor within a bereavement service. Grief comes in many forms of losses or changes so by identifying such events or past patterns it can help us to understand and reshape our path ahead. Counselling support can be a significant help during a distressing time of suffering a loss, by talking with someone understanding and experienced for you, who is at your side. Often other people in your life do not know what to do or say to help you, making grieving a very isolating experience. Bereavement Counselling therapy can help make sense of what has happened and the changes it has brought, together with the many complex emotions and experiences attached to it, which can continue for any amount of time. Sensitive expert support and guidance alongside allowing yourself to address your feelings, can help avoid distressing isolation, possible complications in grief, as well as help with the worry of practical matters and functioning. As a grief therapist, I support the needs of every client individually with patience, respect and dignity. As a Qualified Humanistic Integrative Counsellor, trained and experienced in multiple therapy approaches, I offer you tailored private therapy for your individual needs (not one fits all). My Therapy Approaches are tailored according to therapy issues and your personal preferences, whether it be more directly problem solving issues or issues benefiting from deeper therapeutic exploration. All therapy work is relationship focused, putting your personal therapy needs and wishes foremost, as well as working within the guidelines of the BACP Ethical Framework. Some specialised interventions I practice include the Mindfulness Guided Imagery for Anxiety, Stress, Panic, as well as the Human Givens Rewind Technique, effective for treating phobias as well as difficult memories or trauma conditions. Talking and working therapeutically can help you in many so aspects of your life - to alleviate stress, to resolve/solve problems, to rebuild your life and hopes, for continued chronic support, to understand your worries and anxiety, or just get some clarity at a difficult time. 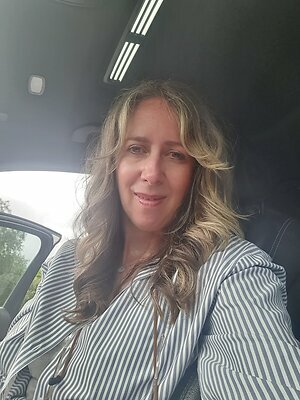 Therapy is conducted confidentially and sensitively with me, another understanding human, to receive you as you are, and help you explore what you need to, effectively. As a human, this is good to understand... Awareness and understanding of our feelings has a direct connection to wellness - this cannot be underestimated. The stress of bottling up feelings and avoiding matters can cause problems. Therapeutically exploring your thoughts and feelings, like using an internal Sat Nav, helps self understanding and behaviours, helps identify what you may be lacking, craving or struggling with. 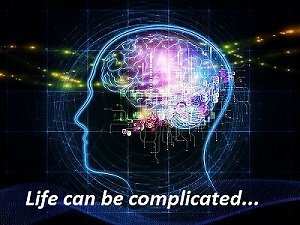 It can empower you to get your needs met both emotionally and physically, with conscious decision making rather than succumbing to unhelpful habits, addictions, anger behaviours or stresses, which may lead to health issues including Anxiety, Depression, or Emotional and Physical Breakdown for example. Are you feeling low and hopeless in this cycle? I can help you with life issues, past or present to get you back on track - with life how it should be. Clients often report that counselling has changed their life - for themselves, relationships, situations and future hopes. That our sessions have brought them relief from troublesome thoughts, emotions and behaviour, together with new helpful perspectives and strategies. With this comes increased self understanding and confidence, bringing the benefits of new options and courage to make changes. What may exist for you?! How important are you - to yourself, and others? I understand that at a difficult time, feelings of low confidence can make asking for help difficult. Maybe too, you think ‘I should just get on with it’ or that having counselling is self-indulgent, or an unwarranted expense? Perhaps consider the implications to your health and circumstances and how counselling could help. How can I help you? You may be able to get your counselling sessions paid if you have Healthcare Insurance depending on your policy conditions - please check with your insurer first for guidance. 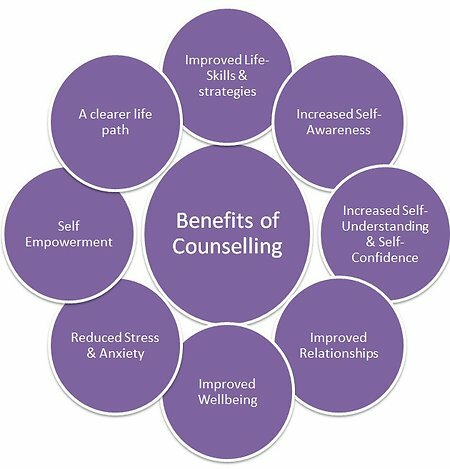 Free Initial Phone Consultation - Benefits of Counselling - What Issues? 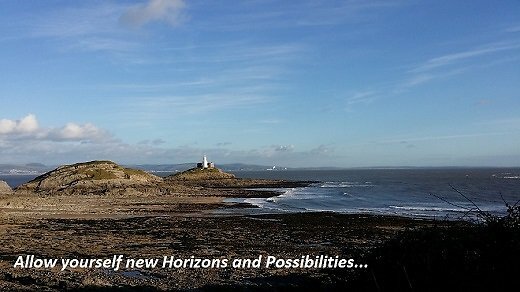 Are you looking for a Therapist in Carmarthenshire?